Mehmet H. Erbak was born in Bursa in 1950. 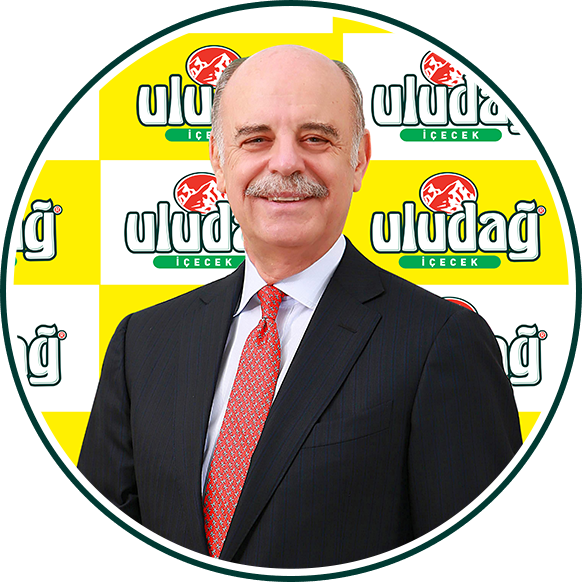 He has served as the Chairman of the Board at Uludağ Beverage since 1993. Mr. Erbak graduated from elementary school in Bursa. After completing his middle and high school educations at the Saint Joseph High School, he went on to receive his Bachelor's degree in Food Technology from Nancy IUT in 1972. He then completed his studies at the Bursa Faculty of Economic and Administrative Sciences in 1978. 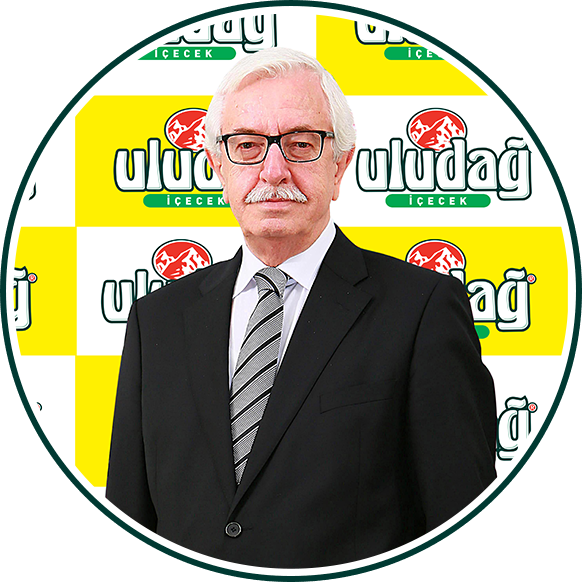 He has actively worked at Uludağ Beverage since his secondary school days, performing duties as the Plant Manager between 1972-1974, CEO and Board Member between 1974-1993. He has also served as the Honorary Consul to France in Bursa since 2002. Mr. Erbak holds the Ordre National de la Légion d'Honneur as well as the Ordre National du Mérite from the French Senate. Mr. Erbak, who speaks French, English, and Italian is also the President of the Nuri Erbak Education and Culture Foundation, Chairman of the Association Culturelle Turquie-France de Bursa, Vice Chairman of the Bursa Culture Arts and Tourism Foundation, Board Member of Uludağ University Support Foundation, and Vice Chairman of the Environmental Protection and Packaging Waste Recovery and Recycling Trust (ÇEVKO). Mehmet H. Erbak is married with two children. M. Ömer Kızıl has been working at Uludağ Beverage since 1989. He received his Bachelor's degree in Economics from Uludağ University's Faculty of Economic and Administrative Sciences in 1996. Mr. Kızıl began his career at a young age, gaining experience in various departments of the company between 1989 and 1995. He served as the Advertising and Public Relations Manager between 1995 and 2001 and the Deputy General Manager of Sales and Marketing between 2001 and 2010. He has held the position of Deputy General Manager in charge of Sales since 2010. Mr. Kızıl successfully completed the Turquality Branding Program carried out jointly by Sabancı and Koç Universities as part of a Ministry of Economy initiative. He has also served as the President of Bursa Phillarmonic Association, President of Turkey Mineral Water Production Association (MASUDER), Board Membership of European Federation of Bottled Waters (EFBW), Turkey Basketball Federation Associate Board Membership, MEDER Membership, Bursa Confederation of Businessman and Industrialists (BUSIAD) Association Membership, Bursaspor General Assembly Membership and Bursa SKAL membership. M. Ömer Kızıl is married with two children. Salih Dağaltı was born in Bursa in 1946. 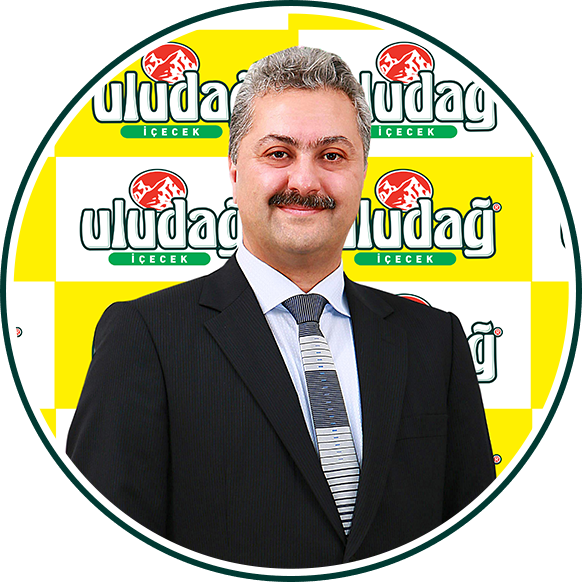 He has served as a Board Member at Uludağ Beverage since 1993. Since January 1969, he has served as the Head of Administrative Offices, Personnel, and Social Services; Personnel and Social Services Manager; Çaybaşı and Yenice factories Manager; and the Vice President in charge of Production and Technical Affairs. Salih Dağaltı is married with two children. 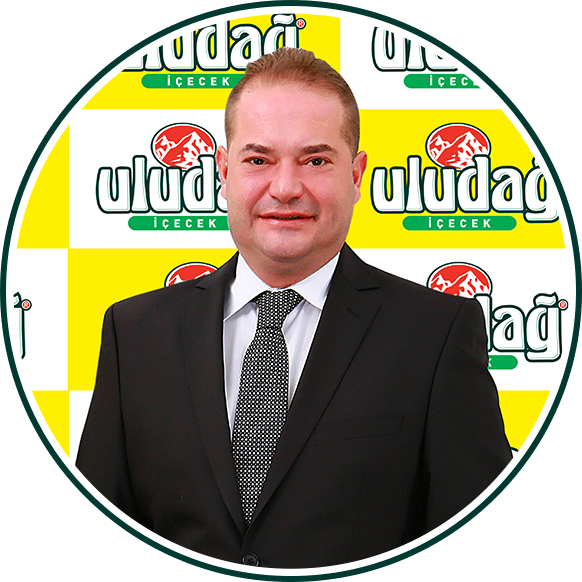 Mete Öz has been working at Uludağ Beverage since 1997. He received his Bachelor's degree in Business Administration from Uludağ University's Faculty of Economic and Administrative Sciences in 1993 and went on to receive his Master's degree in Accounting and Finance from Uludağ University in 2001. He began his career as the Marmara Regional Director of Garanti Bank, and then became the Head of Inspection at Uludağ Beverage. Following his tenure as the Budget and Financing Director, he took on the role of General Manager of Uludağ Beverage, a position he has held since 2001. Mete Öz is married with two children. 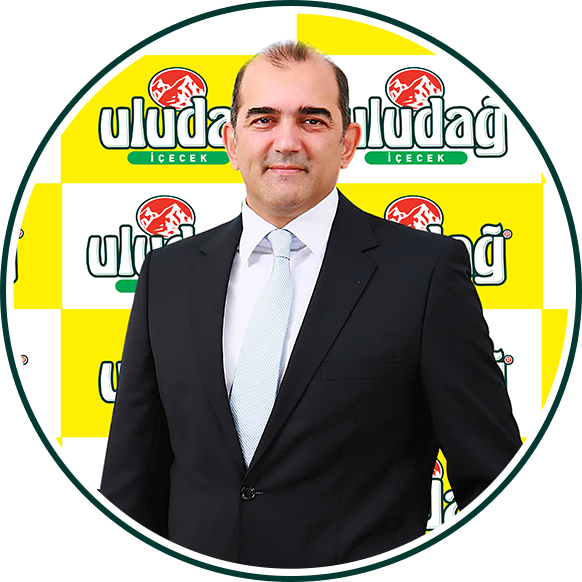 N. Gürhan Tutlu has served as the Deputy General Manager in charge of Financial and Administrative Affairs at Uludağ Beverage since 2005. He received his Bachelor's degree in Economics from Uludağ University's Faculty of Economic and Administrative Sciences in 1990; in Banking and Insurance from Anatolian University in 2001; and in Law from the Near East University in 2012. He then received his Master's degree in Accounting Audit from Okan University in 2013. Financial and Administration Mr. Tutlu began his professional career at the Logistics Management of a Koç Holding affiliate construction group in Moscow in 1993. He served as an executive in the Accounting Department of Bisaş Holding's Ata Murat Textile Factory inTurkmenistan between 1996 and 1998. After serving as the Deputy General Manager at L’Oréal-Gerçek Kozmetik between 1998-1999, he joined Uludağ Beverage in 1999 as the Deputy General Manager in charge of Financial and Administrative Affairs. N. Gürhan Tutlu is married with three children. 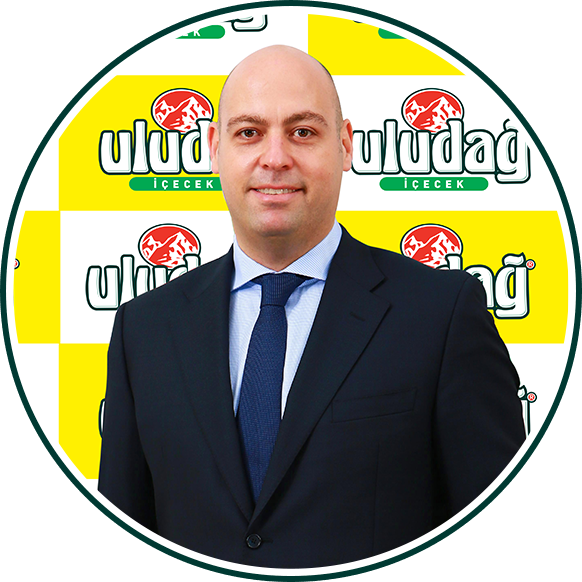 M. Tuncay İşmar has served as the Deputy General Manager in charge of Technical and Production at Uludağ Beverage since 2011. He received his Bachelor's degree in Electronics and Communications Engineering from Uludağ University in 1984. Mr. İşmar had played professional basketball for 15 years while continuing his studies. He began his career in beverage sector as a Production Engineer at the Coca-Cola Beverage Bursa plant in 1994. Between 1996 and 2006, he served as the Head of Operations in charge of Production and Technical Maintenance at the plastic bottle production plant and at the water filling facility, respectively.. He then continud his career as the Production Manager and Plant Operations Director at the Coca-Cola Beverage Çorlu plant between 2006 and 2011. M. Tuncay İşmar is married with two children.